Right - let's get into the good bits now. 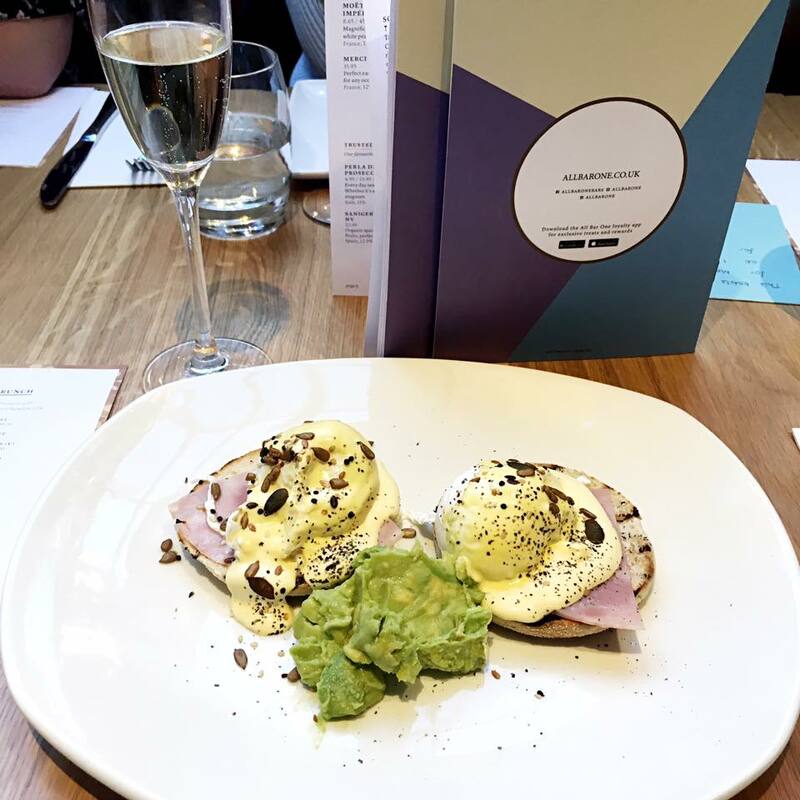 I ordered my favourite, Eggs Benedict and half an avocado. I'd definitely be going back for more! Although, the hollandaise sauce was a little too mayonnaise like. 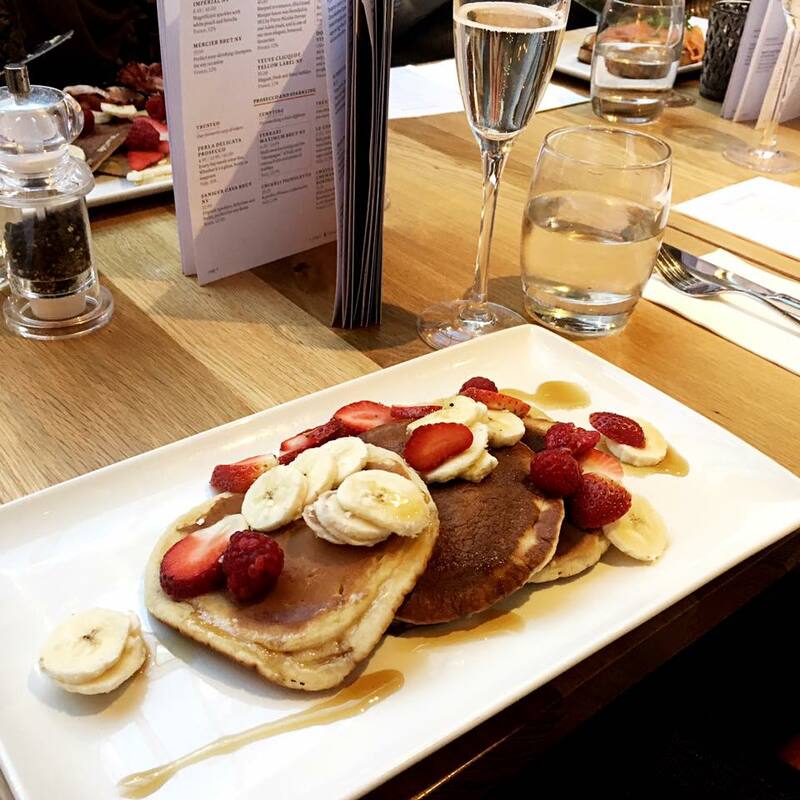 Next up, we have the buttermilk pancakes. Three of my friends ordered them, although only Hester had them with bacon. Overall, the girls really enjoyed them, though Hester thought the bacon wasn't cripsy enough, and I'd have to agree. Regardless, they looked, and supposedly tasted, amazing! 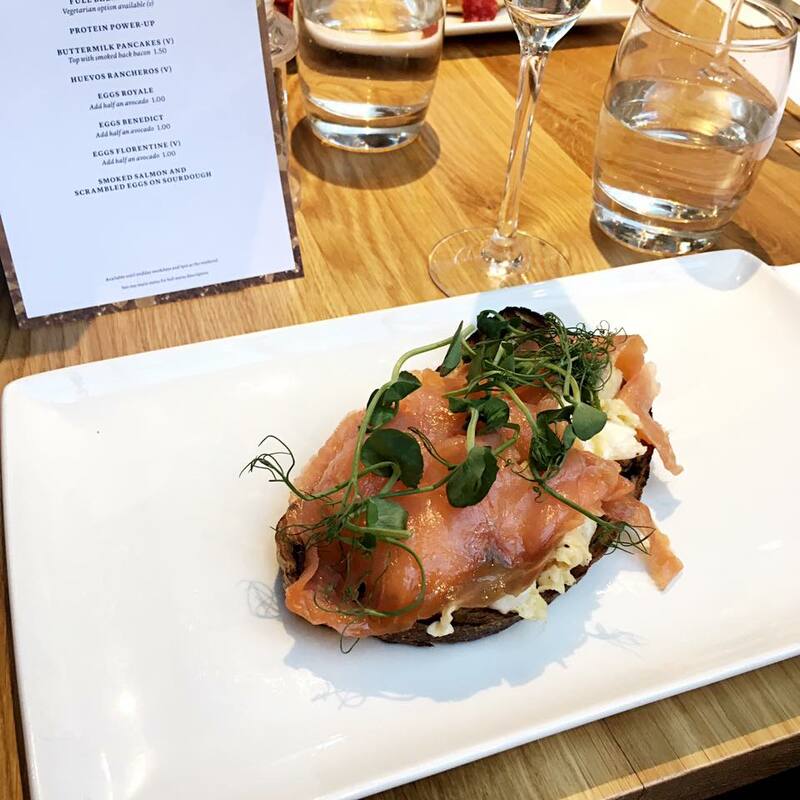 Both Amy and Jen ordered Smoked Salmon and Scrambled Eggs on Sourdough, and that also looked and tasted fantastic. Only these two girls and I decided to go for dessert (understandably, the rest had pancakes after all!). 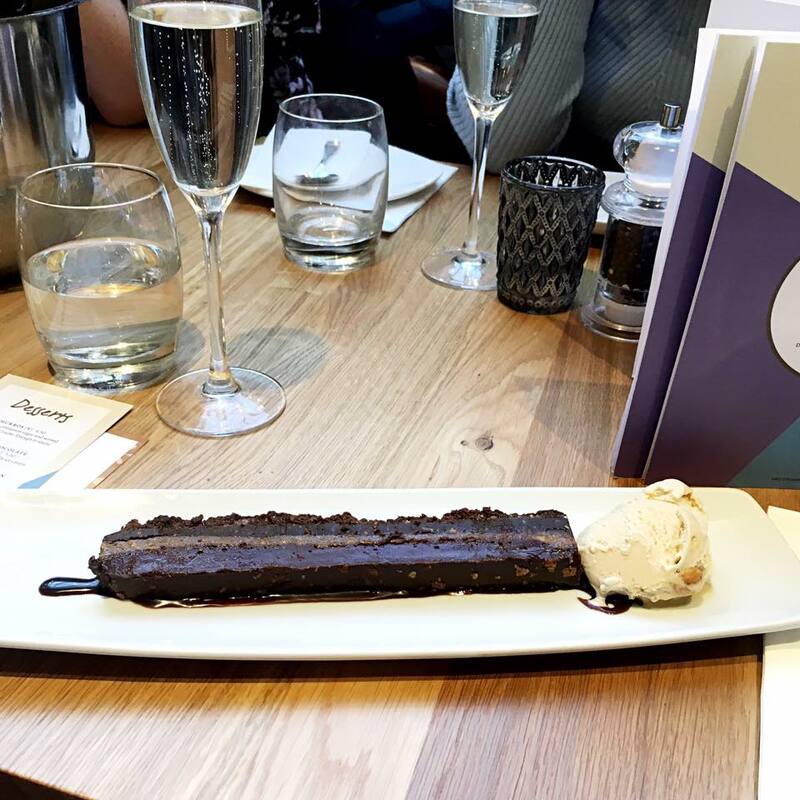 I went for the Chocolate Torte, and honestly, it was slightly too sickening. And looked a bit funny. 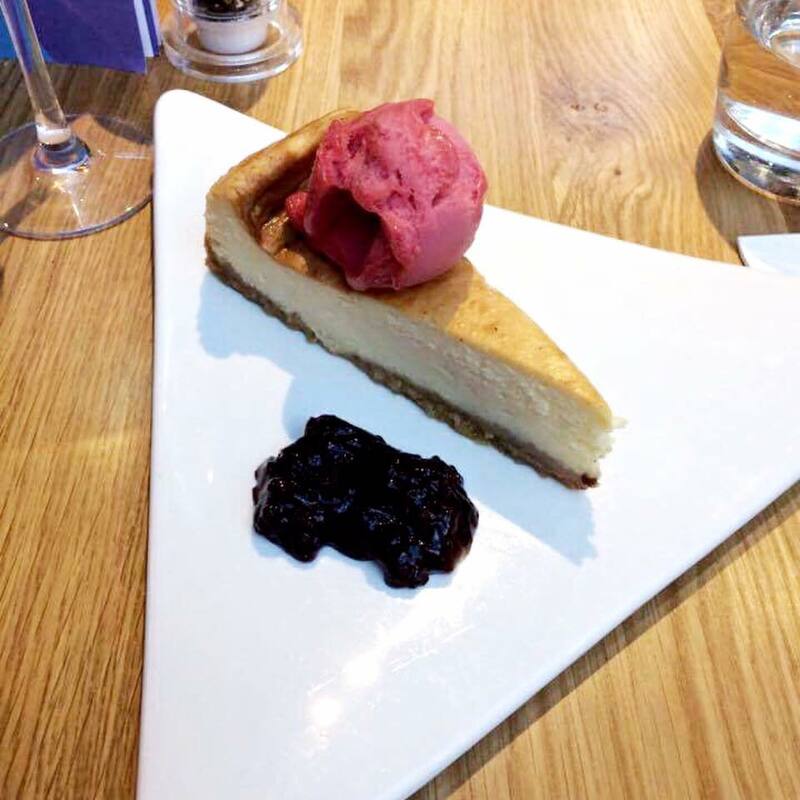 Jen had a Belgian Chocolate Brownie that she got into way before I managed to snap a photo of it, whereas Amy had a Baked Sicilian Lemon Cheesecake, served with blueberry compote. It tasted great. 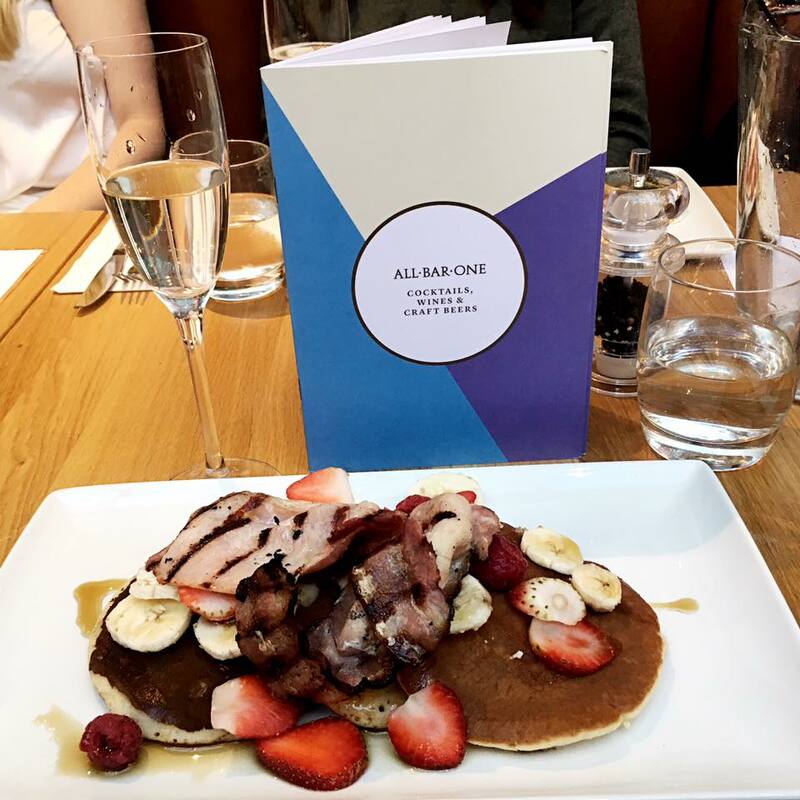 Overall, I'd definitely recommend heading to All Bar One for brunch - I know I'll be going back!